Genymobile was founded in 2011 by Angelique Zettor and Arnaud Dupuis and has offices in San Francisco, Paris and Lyon. We have over 10,000+ Enterprise customers, including but not limited to Facebook, eBay, LinkedIn, Microsoft, Twitter, and Samsung. 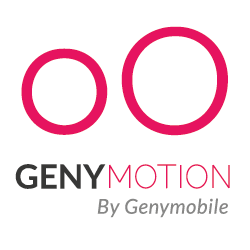 We have over 5.5 Million registered end users using our flagship product - Genymotion, the best Android emulator in the industry, on a regular basis.